Enjoy 9 lives of fun-filled happiness, health, financial freedom and loving feline-ness by embracing your inner-cat. Connect with your purr-fect message, mission and purpose to maximize your cat-tribution to the world. 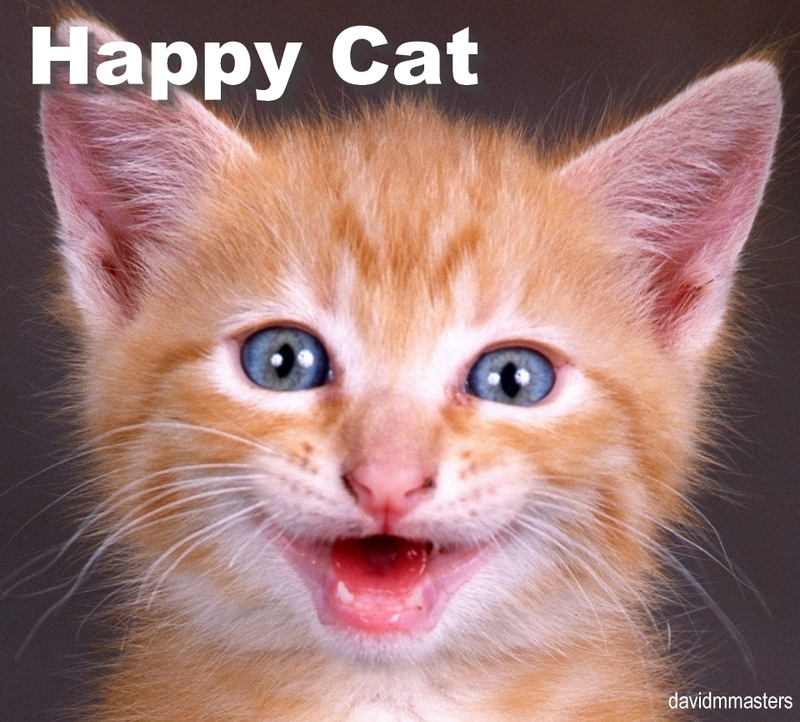 The happy cat is also known as the life of the party cat. Happy cats are gregarious fun-loving, interactive cats likely lifting the spirits of and encouraging other cats to lighten up and not take cat-life so seriously. They are extroverts, talkers,and optimists. These charismatic cats are highly creative out-of-the-box thinkers that can adapt to any environmental setting finding it easy to blend in. 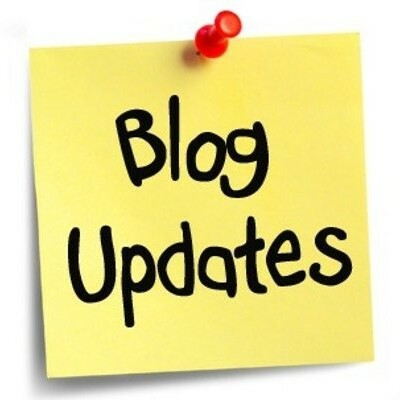 They are less likely to finish what they started, as they don’t like to be burdened with details that are mundane or not enjoyable. Happy cats are naturally expressive emotionally and non-assertive talkers, storytellers, have good sense of humors, have a memory for color, they’re emotional and enthusiastic. On the happy cat’s darks side, they talk compulsively, are likely to interrupt, are prone to exaageration and elaboration. They are obsessed wtih trivia, can’t remember names, can be intimidating (thier enthusiasm and boldness can frighten some people). Happy cats make good performers, promoters, composers, salespeople, actors, speakers, masters of ceremonies, politicians and clergy. Happy cats can make good health care workers with their excellent bedside manner. While the scaredy cat might appear to be more introverted or timid (don’t let their timid exterior fool you, underneath is a fierce and courageous defender and protector) than other cats, this cat is likely to put the needs of other cats above their own, willing to sacrifice their own needs, wants or desires, for a sense of doing the right thing for the right reason to the benefit of someone else or the community at large. The scaredy cat is pessimistic, thinks a lot, is prone to suspicion, very analytical, often attempts to reduce shades of gray into black and white and can be somewhat of a perfectionist. They are deep and thoughtful, probably a genius, talented and creative, atristic, musically inclined, philosophical, and poetic. They appreciate beauty and acknowledge the positive attributes of others. 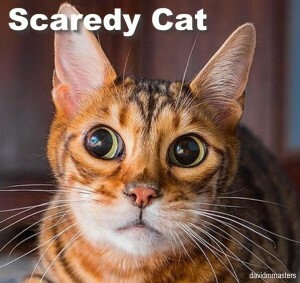 Scaredy cats make great artists, musicians, philosophers, educators, scientists, engineers, inspectors and theologians. Due to their attention to detail, scaredy cats are proficient (trade and artistic) craftspeople. Their dark side include remembering the negatives, moody and depressed. They enjoy being hurt, possess false humility, and low self-image. You will find scardy cats in profesisons such as artists, musicians, inventors, philosophers, doctors, and nurses. Some well-known scaredy cats include Marilyn Monroe, Michael J. Fox, John Travolta, Ernest Hemingway, Vincent Van Gogh, Beethoven, Warren Buffet, J. P. Morgan, Princess Diana and Mother Teresa. Cool cats are well suited for careers in counseling, healing arts, institutional administration, accountant, statistician, teachers, technicians, civil service, diplomats, military and local government. Cool cats are good educators for primary education as well as high school and college educators. 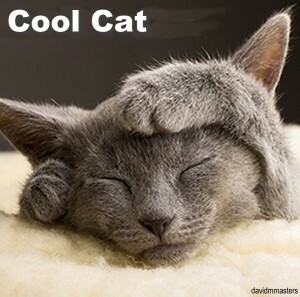 Cool cats are naturally expressive emotionally when they are pushed or under pressure and more apt to be assertive. On thier dark side, they are unenthusiastic, fearful and worried, indecisive, avoid responsibility, selfish, too shy and too compromising. Some well-known cool cats include Keanu Reeves, Audrey Hepburn, J.K. Rowling, Johnny Depp, Issac Asimov, Ayn Rand, Walt Disney, Bill Gates, Steve Wozniak and Nikola Tesla. The alpha cat, most comfortable running the show. The battle cat is more egocentric and adept at leading with authority, though maintaining a, “My way or the highway,” form of management. These are ambitious cats and foster productive work environments. Battle cats are capable of maintaining high levels of energy and passion over long periods of time, being quite relentless. 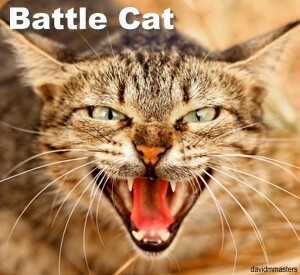 Following a battle (figuratively) the battle cat will likely be the last cat standing. They are extroverts, doers, and optimists, the leaders, producers, and builders of the world. They’re born leaders, dynamic and active, compulsive need for change, feel compelled to correct wrongs, strong-willed and decisive. May also be considered unemotional. 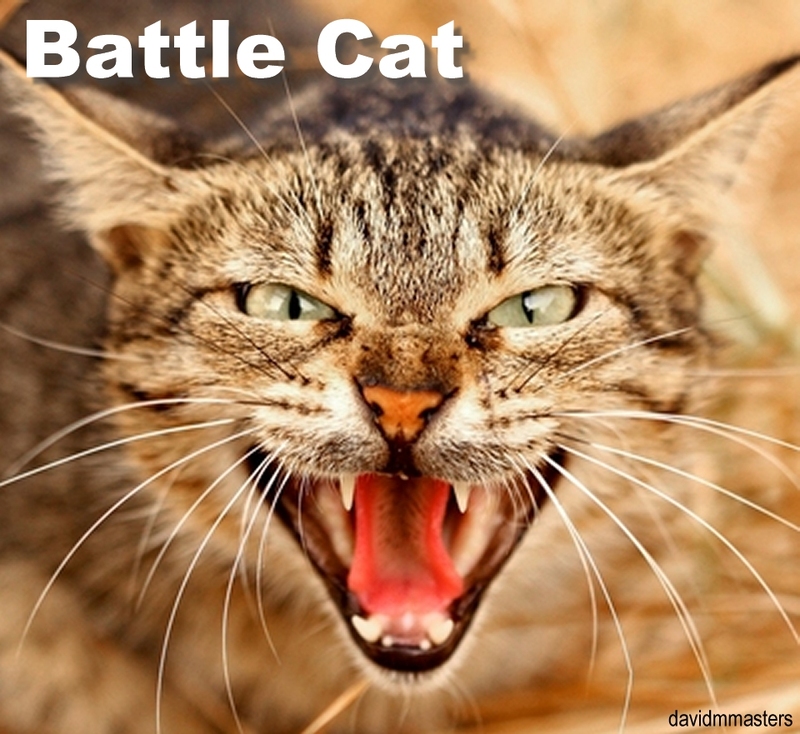 The battle cat’s dark side consists of traits such as egotistical, bossy, impatient, quick tempered, can’t relax. They enjoy controversy and won’t give up even if they’re losing. Battle cats will find themselves most comfortable in professions such as inventor, architect, supervisor, contractor, entrepreneur and military (or paramilitary) leadership. Since battle cats are often less concerned with being restricted by morals may make good dictators or gangsters. 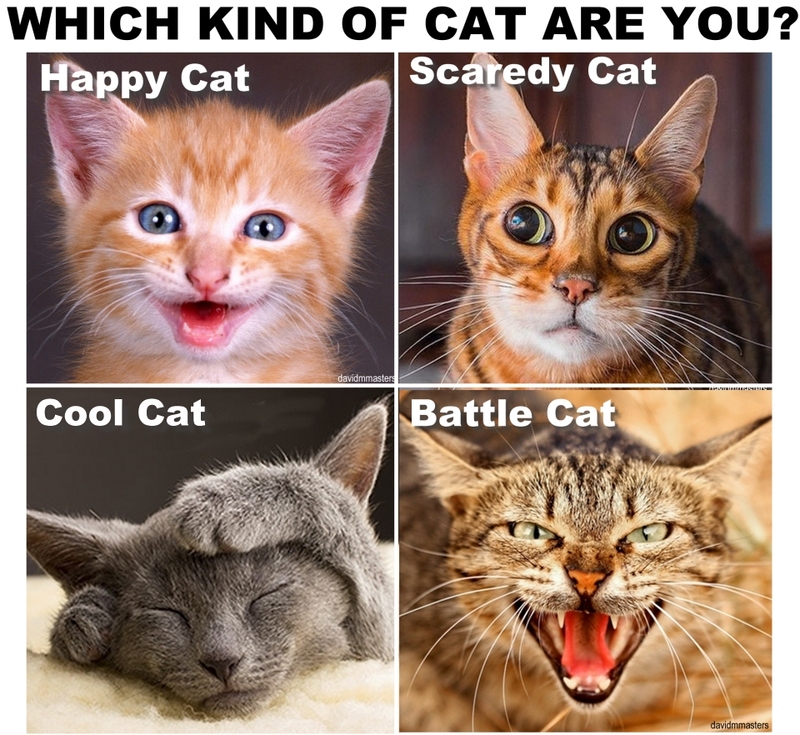 Some well-known battle cats include Oprah Winfrey, Tom Cruise, Jane Fonda, Shirley MacLaine, Alec Baldwin, Dr. Phil, Nancy Grace, Margaret Thatcher, Donald Trump and Judge Judy. The most successful teams and organizations are made up of a wide-reaching cat-a-list or catalog representing of all kinds of cats. Knowing what kind of cat you are will help you to find other cats to support you on the way to massive effectiveness and having the life you always dreamed of. Many cats are a cross-breed of two or more cat-types, and that’s okay, though you probably will find that you have one cat-type that is dominant. Don’t try to be all the cats at once (battle cats often do this out of frustration, saying something like, “Aw, just forget it; I’ll do it myself!”). 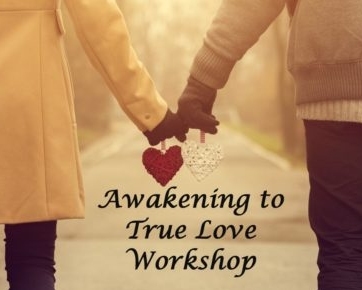 You will find your journey more enjoyable being the kind of cat that you are, and making partnerships with other cats who have the tendencies that do not come naturally to you. Don’t let your nine lives end in cat-tastrophy. Embrace your inner cat and start putting yourself in situations where your true cat purr-sonality shine through in all its cataclysmic glory. Don’t wait another minute, take action meow! This is a far cry from the Myers Briggs personality types, but still retains some value while being cute as hell. Well played. This is very helpful, but I wonder about how to quickly identify the Psycho Cat. Any ideas? I’m feeling frisky. Is there a cat dating site? Previous Previous post: What Are They Saying Behind My Back?